The Indian cuisine commonly makes use of the powerful turmeric spice, and Indian people have long been using turmeric in the treatment of stomach and liver issues. Turmeric contains an active compound named curcumin which offers numerous benefits for our health, possessing antibacterial, anti-inflammatory, antiviral, antioxidant and anti-cancer properties. Turmeric is also extremely beneficial for liver health, since it stimulates the enzymes that actively take part in the elimination of carcinogenic substances, and thus participates in liver detoxification. Prepare this smoothie using organic ingredients only. Take care not to substitute coconut or hemp milk with actual milk. If necessary, use almond milk. Put all ingredients in a blender and mix until you get smooth and homogenous mixture. 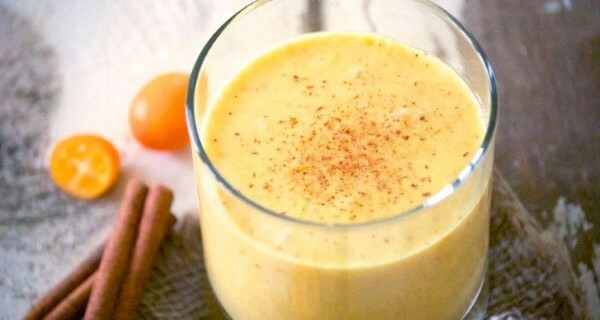 Consume this extremely delicious turmeric smoothie every morning on an empty stomach.